After an eventful PGA Championship where we nearly had our picks capture the $1 million first-place prize in DraftKings’ Millionaire Maker, we need to completely switch gears for the 2015 Wyndham Championship. By completely switch gears, I mean every aspect of the event at Sedgefield Country Club is different than last week’s major. The only common feature is that this is the last event before the FedEx Cup Playoffs begin, and there will be a little extra fuel to the fire for some of the competitors to be eligible to make a run at the $10 million dollar prize at the conclusion of the Tour Championship. So, what are all these differences? First off, the field is much weaker. It’s not Frys.com Open weak, but it’s substantially weaker than last week’s PGA, which isn’t too much of a surprise. It’s also particularly lacking options at the top as there are only four players above $10,000, and only one of them was over $10,000 last week (Adam Scott). Having said this, the players from approximately the $8,333 average mark and more expensive are substantially better than the players who are cheaper than that (a few players exempt from this statement). The difference from a $9,000 player to a $7,500 has a massively bigger dropoff than a player from $7,500 to $6,000. This is unlike last week where not only we had great low $7k players like Branden Grace, Justin Thomas and J.J. Holmes to go with the guys in the $5k-$6k range like Tony Finau, Anirban Lahiri and Matt Jones. According to the Wyndham Championship’s website, Segefield Country Club is a par 70 and tips out at 7,071 yards. 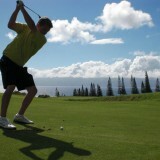 However, according to PGATour.com, it’s a par 71. Given that it’s always played at a par 70, the hole descriptions on both sites say it’s a par 70 and that I don’t think the Wyndham site would botch its own par or forget to update it (nor have I found any other place saying it’s a par 71), we’re proceeding that the course will play just like last year’s par 70. Sedgefield is a very straight forward breakdown. There are only two par 5s, No. 5 at 529 yards and No. 15 at 545 yards. Both are easily hitable in two, as there were 25 eagles on No. 5 and 10 eagles on No. 15 last year. All of the par 4s are over 400 yards with the exception of No. 8 at 374 yards. There is a slight up slope to this green, and the front of the green is heavily guarded by bunkers. It is possible with the wind and dry ground that someone is fortunate enough find the putting surface and make eagle, but the chances are very slim (one eagle made here in 2014). From an overall perspective, this is a track where driving accuracy and proximity will be key. Almost every hole is heavily tree-lined or have woods with lost ball potential. There are also several creeks and bunkers winding through the fairway that many players won’t be hitting driver very frequently. Furthermore, with smaller greens and most of them heavily sloped from back to front, this is an older-style course where precision is a premium. In general, DFS players like to favor guys who make a lot of eagles. They do this for the eight point bonus, and this makes sense some or most of the time. But this is a tournament where it isn’t a good idea to use them since driving distance isn’t important at Sedgefield. Why play someone who is going to be used in lineups over 20 percent who doesn’t have an advantage at making eagles or doesn’t fit the course well? It’s pretty clear, and you’ll find similar results by looking at previous Wyndham tournaments. It’s a shorter list of picks this week, but there are more guys who you can certainly use in your lineups. These are my top plays at their respective price ranges, and feel free to hit me up on the forum for thoughts on other players. 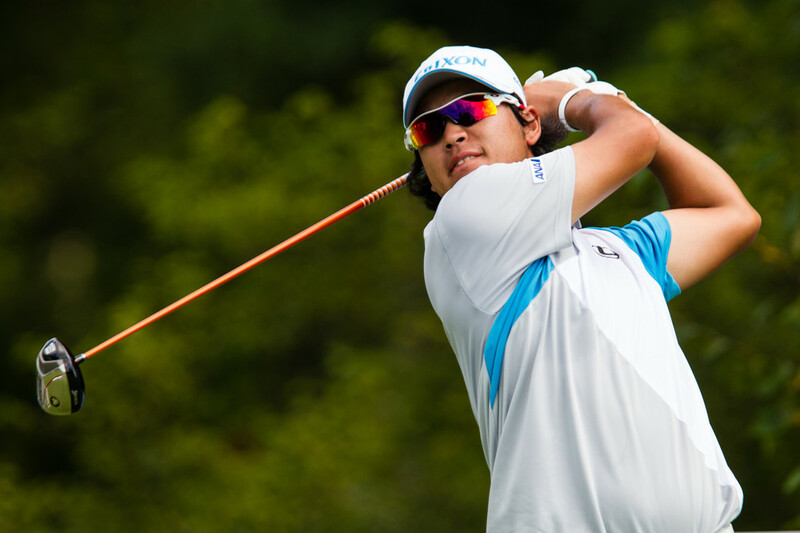 Hideki Matsuyama $10,900 – While everyone loads up on Brooks Koepka and Brandt Snedeker (odds per dollar), take Matsuyama who is a better player overall (Snedeker a bit debatable). There really isn’t a hole in Matsuyama’s game statistically, and his tournament results have shown outstanding consistency at different types of courses. Furthermore, Matsuyama is 5th in tee-to-green strokes gained, and he’s been fairly unlucky putting wise on the greens this year. Bill Haas $9,600 – Haas’ best finishes are a win at the Humana Challenge, T4 at the Players Championship, T4 at the Quicken Loans National, T7 at the WGC Cadillac, T12 at the Masters and T18 at the Memorial. What do all of those tournaments have in common? They are all played at shorter courses, just like Sedgefield. Haas is one of the best wedge players on Tour, and he ranks in the top 10 this season in wedge shots from 50-150 yards out. Brendon Todd $8,500 – A tiny bit pricey, but like Haas, Todd’s top 10s have all come on the shorter courses, and his horrific missed cuts have come at the monster tracks. Todd is one of the shortest hitters on Tour (183rd), but he’s ninth in driving accuracy, 39th in proximity and possesses one of the best short games in golf. Jason Dufner $7,600 – After a tough start to the season (we can speculate on the personal reasons), he’s played a shortened schedule for the last several months, essentially only playing the bigger tournaments. The problem for Dufner was that the U.S. Open, Open Championship and PGA Championship were all played at courses that didn’t suit his game (still made the cut at all three). However, if you look at his most recent tournaments at the shorter tracks, specifically the Memorial and Byron Nelson, he has a T24 and a T8 respectively. This is the weakest field Dufner has played in since the Winter portion of the season, and he’s by far better than all the players at his price level. The downside here is that his odds per dollar are fantastic, and he will get used quite a bit. Still, I don’t think it’ll be something crazy like 30% ownership since Cameron Smith also has amazing odds right next to him and a couple others not too far behind. Plus, if you use some other unique plays, you should still have a lineup that isn’t shared with anyone else, and Dufner is your best bet at around $7,500 for someone who will make the cut and have a legit chance at contending on Sunday. John Huh $6,000 – There’s a little bit of risk here since Huh withdrew two weeks ago from the Barracuda Championship with a sore back, but Huh is 95th in the FedEx Cup standings and needs to stay in the Top 125 in order to have a chance to play in September. It was avery rare WD for him and he had played six events in the previous seven weeks. Huh, the 2012 rookie of the year, is simply underpriced, and has a solid 20 of 28 cuts made this year. Huh’s best tournaments have come at the shorter tracks and understandably against the weaker fields, which is what the Wyndham is. Mark Hubbard $5,300 – This is very much a GPP play. In Hubbard’s first full season on the PGA Tour, he’s made a respectable 15 of 23 cuts to go with two top 25s, but his best stuff has come on the shorter tracks, like his T24 at the John Deere Classic. Despite that Hubbard is the cheapest player available, which might make you skeptical, he realistically should be at least $1k more. Players at this price level should be more for players who are on the Champions Tour and playing as a former champion who’s from the local area. Or, they should be for amateurs who get invited and have little-to-no professional experience. The bonus to using Hubbard is that it allows you to get three high-salary players in your lineup, and a top 20 for Hubbard isn’t unrealistic. Fade of the Tournament: Boo Weekly $6,600 – His odds per dollar are through the roof, and everywhere I look online, people are recommending him. He will be used a lot, at least 25%. But keep this in mind, he has the same cuts made percentage as Huh while playing a very similar schedule, and Weekly also has four made cuts where he’s finished T69 or worse. While he does have a shot at a top 10, his chances at a missed cut are much greater, and it’s not worth using someone at this price range who will be used this much.